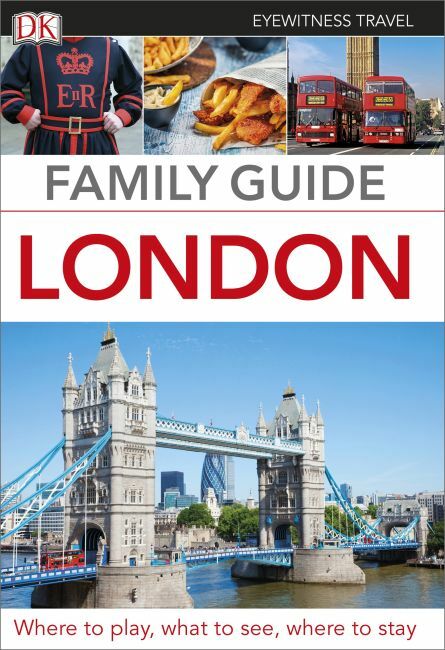 A family-focused guidebook to London for traveling with children ages 4 to 12. DK Eyewitness Travel: Family Guide London gives parents with children ages 4 to 12 the specific, family-friendly information they need to plan a vacation to a city with an abundance of history, outstanding museums, unrivaled theater, and beautiful parks. Go treasure hunting at the Foundling Museum, ice-skating at Somerset House, and explore can't-miss sights such as St. Paul's Cathedral and Westminster Abbey. Written by travel experts and parents who understand the need to keep children entertained while enjoying family time together, DK Eyewitness Travel: Family Guide London offers child-friendly sleeping and eating options, detailed maps of main sightseeing areas, travel information, budget guidance, age-range suitability, and activities for London.